Frugal Mom and Wife: 85 Free Best Buy Reward Points! (on Facebook) Another New Offer! 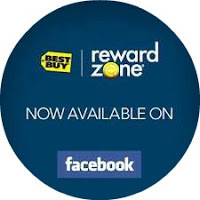 85 Free Best Buy Reward Points! (on Facebook) Another New Offer! **Click "Ultimate Spaces" link and create a "Home Gym" to get 50 more free points! **Click "Member's Choice", scroll down and vote to get 25 more free points! **This is a different offer than the one posted 1/15 - 3/2.